Draft: 2014, Baltimore Orioles, 11th rd. Originally selected by the Atlanta Braves in the 46th round of the 2011 First-Year Player Draft (did not sign)...Attended West Virginia University, Fort Scott Community College (KS), and Gardner-Edgerton (KS) HS. Had his contract selected from Triple-A Norfolk on 9/24 and made his Major League debut on 9/26 at BOS (G1) (3.1 IP, 5 ER, 6 H, 1 HR, 4 K); struck out the first batter he faced (Mitch Moreland)...Went a combined 7-9 with a 3.72 ERA (65 ER/157.1 IP), 32 walks, and 130 strikeouts in 26 starts (28 games) for Double-A Bowie and Triple-A Norfolk...Started the season with Double-A Bowie, going 1-4 with a 4.30 ERA (22 ER/46.0 IP), 13 walks, and 41 strikeouts in seven starts (eight games) for the Baysox...Promoted to Triple-A Norfolk on 5/18 and went 6-5 with a 3.48 ERA (43 ER/111.1 IP), 19 walks, and 89 strikeouts in 19 starts (20 games) for the Tides... Opponents hit .268 (166-for-619) against him, with left-handers hitting .206 (39-for-189) and right-handers hitting .295 (127-for-430)...15 of his 26 minor league starts were Quality Starts... Struck out a season-high 10 batters on 6/6 at Columbus in 5.0 innings of work. September 24, 2018 Baltimore Orioles selected the contract of LHP John Means from Norfolk Tides. May 18, 2018 LHP John Means assigned to Norfolk Tides from Bowie Baysox. February 23, 2018 LHP John Means assigned to Baltimore Orioles. February 26, 2017 LHP John Means assigned to Baltimore Orioles. June 23, 2016 Bowie Baysox activated LHP John Means from the temporarily inactive list. June 21, 2016 Bowie Baysox placed LHP John Means on the temporarily inactive list. May 26, 2016 LHP John Means assigned to Bowie Baysox from Frederick Keys. August 20, 2015 LHP John Means assigned to Frederick Keys from Delmarva Shorebirds. April 24, 2015 LHP John Means assigned to Delmarva Shorebirds from Aberdeen IronBirds. April 18, 2015 LHP John Means assigned to Aberdeen IronBirds from Delmarva Shorebirds. April 4, 2015 LHP John Means assigned to Delmarva Shorebirds from Aberdeen IronBirds. June 27, 2014 LHP John Means assigned to Aberdeen IronBirds from GCL Orioles. June 26, 2014 LHP John Means assigned to GCL Orioles. 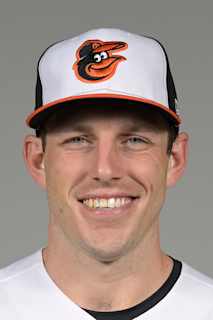 June 25, 2014 Baltimore Orioles signed LHP John Means.